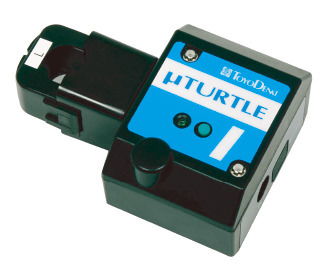 μTURTLE-I Wireless Current Sensor｜Remote Monitoring Systems｜Information Equipment Systems｜Products Information｜Toyo Denki Seizo K.K. Internal capacitors store energy needed for measurement and wireless communication from CT. 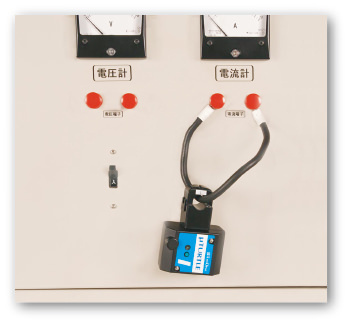 Runs on current (minimum 10% of rated current), without requiring a power supply. Measurement device with integrated wireless communication, without needing an add-on unit. CT can be chosen according to attachment cable. Simply attach CT to cable for measurement. Models with separate CT are ideal for installing where space is at a premium. *CT available in three sizes. φ16mm size is shown. 1 Measurement value is true effective value.